Design problems with a blowout prevention system contributed to the 2010 Deepwater Horizon oil rig disaster, and the same equipment is still commonly used in drilling four years after the Gulf of Mexico oil spill, according to a report from the federal Chemical Safety and Hazard Investigation Board. The board concluded that the ‘blowout preventer’ — a five-story-tall series of seals and valves that was supposed to shear the drill pipe and short-circuit the explosion — failed, and that the system hasn’t been fully corrected since. Despite improved regulation of deep-water drilling since the disaster, the board found that problems persist in oil and gas companies’ offshore safety systems. “This results in potential safety gaps in US offshore operations and leaves open the possibility of another similar catastrophic accident,” said Cheryl MacKenzie, Lead Investigator of the Safety Board Inquiry. 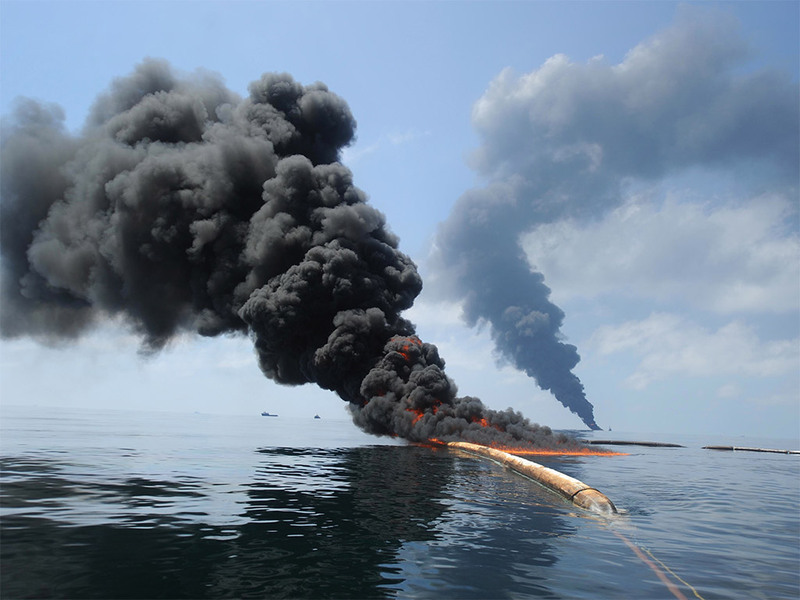 The blowout of BP’s Macondo well in April 2010 killed 11 men and resulted in nearly five million barrels of oil gushing into the Gulf of Mexico, making it the worst offshore oil disaster in US history. Several federal commissions have investigated the lead-up to the explosion, with a few suggesting that corporate mismanagement and inadequate government oversight of the oil industry is partly to blame. The chemical safety board focused its inquiry on the blowout preventer and safety practices. If oil or gas, which is under high pressure underground, accidentally goes up the well bore and pipe, the blowout preventer is supposed to cut off the flow so it doesn’t reach the platform. In the case of Deepwater Horizon, the lower valves in the blowout preventer closed, letting pressure continue to build, which eventually bent the drill pipe, the safety board study found. What’s more, a device inside the blowout preventer could not cut the pipe effectively, and ‘actually punctured the buckled, off-centre pipe, sending huge additional volumes of oil and gas surging toward the surface,’ the report said. Since the spill, at least one company, GE Oil and Gas, has designed a new blowout preventer that can cut a similarly bent pipe, but many rigs continue to use the same equipment found at Deepwater Horizon, MacKenzie said, adding that the effective management of critical safety elements has yet to be established. No more credit, is debt the new oil?